William Hooper was recognized for his participation in The Declaration of Independence in several areas. His prophetic observation in a letter of 26 April 1774 to his friend James Iredell is often quoted as a landmark of colonial foresight at this early period. Hooper wrote, “The Colonies are striding fast to independence, and ere long will build an empire upon the ruins of Great Britain; will adopt its Constitution, purged of its impurities, and from an experience of its defects, will guard against those evils which have wasted its vigor”. This was the earliest known prediction of independence, which won for Hooper the epithet “Prophet of Independence”. William Hooper, was the oldest of five children of the Reverend William Hooper and Mary Dennie, daughter of Boston merchant John Dennie. Hooper was the grandson of Robert and Mary Jaffray Hooper of the Parish of Ednam, near Kelso, Scotland. Hooper was born on 17 June 1742 in Boston, Massachusetts. He died in Hillsborough, North Carolina on 14 Oct. 1790 at the age of 48, and was buried in The Old Town Cemetery, but in 1894 was re-interred in the Guilford Courthouse National Military Park in Greensboro, North Carolina. Hooper’s father, the Reverend William Hooper, was a Congregational minister, educated at Edinburgh University who immigrated to America in 1734 from Ednam, Scotland to Boston, Massachusetts. He was Rector of the West Congregational Church on Cambridge Street in Boston from 1737 to 1740. He left that church and became an Episcopalian. He then returned to London, England and was ordained by the Church of England. He returned to Boston in 1747 and became the second Rector of Trinity Church where he served until his death in 1764. Hooper’s early education, at the age of seven, was in The Boston Latin School, under John Lovel, headmaster. When he completed these studies he entered the sophomore class of Harvard College in 1757, at age 16, graduating in 1760 with a B.A. degree and in 1763 with a M.A. degree. At Harvard, Hooper ranked eighth in a class of twenty-seven, a ranking determined traditionally not by academic achievement but by the social standing of his parents. Although the Reverend Hooper had groomed William for the ministry, the younger Hooper preferred the legal profession. Therefore, in 1761 he read law under the aegis of the fiery, colonial rights-exhorting James Otis. Hooper in 1764 settled temporarily in Wilmington, North Carolina, to begin the practice of law. He was warmly accepted by the planters and lawyers of the lower Cape Fear and became a Circuit Court Lawyer following the sessions of the court and traveling hundreds of miles on horseback. By June 1766 he was unanimously elected recorder of the borough. From the beginning, Hooper’s health had been precarious in the low-lying Wilmington area. He was seriously considering leaving New Hanover County when his father died without warning one Sunday “falling down suddenly in his garden”. William’s education was to be his chief inheritance, although his father’s Will also left to him “all my Books and Manuscripts” a legacy that he treasured. He apparently made a firm decision to continue his legal career so well begun in North Carolina. On 16 Aug. 1767, he married at Kings Chapel in Boston, Anne Clark, of New Hanover, North Carolina, the daughter of Barbara Murray and Thomas Clark, Sr., late high sheriff of New Hanover County. Anne was the sister of Thomas Clark, Jr., who became a colonel and brigadier general in the Continental Army. It was the fortunate affluence of the Clark family that enabled the William Hooper’s to survive the difficult years of the American Revolution. In 1769 British Governor William Tryon appointed Hooper Deputy Attorney General for the King in the Salisbury District Court which inevitably ran afoul of the Regulators. An incident in Anson County in 1768 was followed by another at the Hillsborough riots of September 1770, when Hooper reportedly was dragged through the streets by the Regulators. Hooper served with Governor Tryon’s militia that smashed the Regulator movement at the battle of Alamance in 1771, considered to be the first Battle of the Revolution. His formal entry into political life came on 25 Jan. 1773, when he sat for the first time in the Provincial Congress Assembly as a representative for the Scots settlement of Cambelltown (later Fayetteville). The Assembly, meeting at New Bern, lasted only forty-two days, but Hooper became acquainted with such recognized provincial leaders as Samuel Johnston, Allen Jones, and John Harvey. The selection of delegates to the First Continental Congress, which was to meet in Philadelphia, was the most important action of the Assembly. Hooper was the first selection along with John Penn and Joseph Hewes, to represent North Carolina in the Continental Congress. The delegates of the First Continental Congress assembled in the colonial metropolis of Philadelphia on September 27, 1774. Traveling on horseback over 450 miles of strength-taxing roads, Hooper and Hewes arrived in Philadelphia on September 12. Instructed to obtain a redress of grievances, Hooper, despite his earlier strong remonstrance’s, retained his loyalty to the crown. His primary concern was the protection of colonial rights, but independence was not far from his mind. Hooper produced his credentials and took his seat on the following day. At thirty-two years of age, William Hooper, one of the youngest members of the Congress, made his debut into the larger field of American Political life. All thirteen colonies were represented except for Georgia whose governor had prevented the election of delegates. The members were a diverse group in which all shades of political opinion were represented. Its most important action was the adoption of the Continental Association. According to this, beginning December 1, 1774 there would be a ban on all goods from the British Isles, as well as on certain specified goods from several designated places. There would also be a ban on all exports to the British Isles and the West Indies beginning September 10, 1775 if the grievances of the colonists still existed. These and the various other provisions of the Association were to be enforced by a committee to be chosen in each county and town by the voters. On November 23, 1774 the voters of Wilmington met and elected a committee “to carry more effectively into Execution the resolves of the Late Congress held at Philadelphia”. This was the origin of the Wilmington Committee of Safety. The minutes of the first meeting listed William Hooper among eight others selected as the Wilmington Committee. The committee served until it was disbanded in 1776. John Adams in his Diary (Vol. 2, P. 396, 1774) states that Patrick Henry, Henry Lee, and William Hooper were the Orators of the Congress. This epitaph appears on the monument to the three signers from North Carolina in the Guilford Courthouse National Military Park, where they were re-interred in 1894. On April 26, 1775, Hooper departed aboard the schooner Polly, for the Second Continental Congress. He was urged not to yield a single point to the British, but he demurred, hoping instead that the British would act with prudence. On May 10, 1775 he took his seat in the Philadelphia Congress. He chaired several committees, one to prepare a resolution for a day of fasting, humiliation and prayer to be observed throughout the Colonies. During the Revolution, Hoopers brothers Thomas and George were wealthy merchants in both Wilmington, North Carolina and Charleston, South Carolina. Thomas became suspect as a British merchant and some of his goods were seized by Patriot committees. The brothers were labeled as Tories, with the confiscation of some of their properties. It is hard to imagine the concern this might have given Hooper. With the ratification of the Definitive Treaty in 1786-87, Thomas and his brother George were free from the threat of banishment and their property was restored to them. In Philadelphia Hooper served on Hewes’ marine committee with Benjamin Franklin on the highly important committee of secret intelligence which had broad powers to hire secret agents abroad, make agreements, and even to conceal information from the Congress itself. Before the close of 1776 Hooper had attended three Continental Congresses, five Provincial Congresses and Four Provincial Assemblies besides meetings of the Wilmington Committee of Safety. Almost invariably he was made chairman or member of any committee with important resolutions or addresses to compose, and some of the most significant statements of the Revolution crystalizing public opinion came from his pen. Although Hooper was absent when independence was actually voted and declared on 4 July 1776, he, like most of the other delegates, affixed his name to the amended Declaration on 2 August. The Third Meeting of Congress was held in Baltimore. Washington and his army had retreated across New Jersey, crossing the Delaware River. Congress fearing a British attack on Philadelphia, fled to Baltimore. 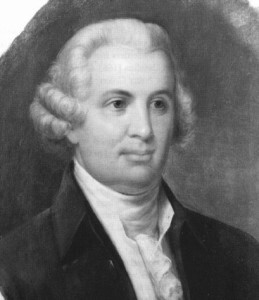 Hooper was concerned with committees for the regulation of the post office, the treasury, secret correspondence, admiralty courts, laws of capture, and the like. On 22 December he was appointed chairman of a committee with Hewes and Thomas Burke to devise a Great Seal for the new state of North Carolina. After attending three Congresses he began to tire of the routine. Concerning life in Congress, he declared despondently, “I am weary of politics. It is a study that corrupts the human heart, degrades the idea of human nature, and drives men to the expedients that morality must condemn”. Early in 1777, Hooper and numerous other delegates were stricken with malaria. On 4 February he secured permission to return to Wilmington to attend the General Assembly on 8 April. On 29 April he formally resigned his seat in the U.S. Congress. “The situation of my own private affairs . 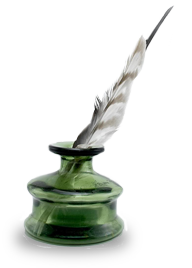 . . did not leave me a moment in suspense whether I should decline the honor intended me”, he wrote to Robert Morris. He was succeeded by Cornelius Harnett and never again appeared on the national scene. Hooper resumed his residence at Finian and his law practice in the newly opened courts, again riding the circuits with his friend Iredell as he had done before the Revolution. He attended the General Assembly of 1777, 1778, 1779, 1780, and 1781 as member for the borough of Wilmington, serving on numerous committees. Hooper’s law practice was still a considerable one, owing to steady litigation concerning Loyalists’ estates, confiscated lands, treason, and all the legal backwash of the Revolution. Like Iredell and other conservative men, Hooper lamented unreasonable severity and vengefulness against Loyalists and absentees and urged moderation in their treatment. In consequence, he found himself at painful odds with some of his old friends and acquaintances. On 22 Sept. 1786 Hooper was appointed by Congress as one of the Judges of a Federal Court formed for the purpose of settling a Massachusetts, New York territorial dispute, but the matter was resolved locally and the court never met. William Hooper died after five months of complications associated with his previous health problems. The date of his death, 4 October 1790, was the day before the planned marriage of his daughter, Elizabeth. He was buried in a corner of his garden in Hillsborough, North Carolina. The brick-walled plot was later incorporated into the adjoining Old Town Cemetery on 25 April 1894. That same year the grave was opened at dawn before various family representatives, and a few discernible relics, together with the sandstone slab, were sent to the Guilford Courthouse National Military Park in Greensboro. There, an imposing 19 foot high monument, surmounted by a statue of Hooper in colonial dress and in orator’s pose, honors the patriotic services of William Hooper and his friend and colleague, John Penn. 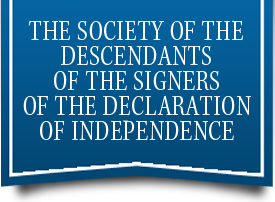 The sandstone slab, with six additional words deeply incised, ” Signer of the Declaration of Independence,” was later returned to the original Hillsborough grave site. The monument to the three signers was erected over the new graves of Hooper, Penn, and Hewes and was dedicated on July 3, 1897. Fradin, Dennis B., The Signers, 2000. McEachern, Leora H. and Williams, Isabel M., Wilmington, New Hanover Safety Committee Minutes, 1774-1776. Watson, Alan D.; Lawson, Dennis R; Lennon, Donald R, Harnett, Hooper, Howe, Revolutionary Leaders of the Lower Cape Fear. I am a descendent of W. Hooper. My great grandmother was married to Thomas Hooper, back in 1900. He had 5 children, and his daughter gave birth to my mom. He had 3 sons, Thomas, Lester, and Maurice. Thomas had 1 son, and so did Lester. As far as I know, they are both still alive, my cousins. Both great-uncle’s are long dead. But, I am a grandson, by several generations, of this great man, even though I am not a Hooper. I have 4 children, and 5 grand children, and I tell them the story. Time, unfortunately, we have no record of a Thomas Hooper of the generation of your GGGrandfather Thomas. We do have a Joseph Caldwell Hooper who married Louise Cunningham about 1893. This coulpe had two children, Mary Louise and James Caldwell. We have no records on the three sons, Thomas Lester and Maurice. The last male Hooper we know of was William M. Hooper Hooper, b. c. 1907. We have no additional information on William. My suspicion is that you may be related to Will Hooper the Signer, but I can find no evidence that you are a descendant of The Signer. Do you happen to know the name of Thomas’ father? According to “A History of Clay County Indiana” by William Travis, Vol. II, p.175 (attached) – I may be related to William Hooper – The Signer. It says that Cynthia Hooper (b.1810) was his granddaughter. I was wondering if you might have more details on his children and grandchildren so I can verify this information. I was very excited to find that possible connection! Kaycee, William Hooper the Signer had three grandchildren, William, b. 1792, Thomas Clark, b. 1994, dies with no heirs, and James Hogg b. 1797, dies with no heirs. We have no record of a Cynthia. Note that all of the grandchildren were born in NC. I am not sure the source of William Travis’ claim that Cynthia was the grand daughter of the Signer. I am a descendant of William Hooper, My Great Grandfather was Richard Hooper who fathered four children Kenneth Hooper, Mamie Hooper, one who died during WWII and my Grandfather James William Hooper Jr. James William Hooper fathered five children Travis Hooper, My mother Brenda Hooper, Wanda Hooper, Bill Hooper, and James William Hooper Jr. and many grand children. Will all live in different parts of Texas. But have known since we were little that our family was part of the American Revolution and some of our families women have joined the daughters of the American Revolution. D’Etta, we have no records of any of the names you have provided in the genealogy of William Hooper, the Signer. It is possible that your William Hooper is not the Signer, but a different William. My mother, Kathleen Ross Fouche’ Owens was a DSDI via William Hooper, the signer, via William Hooper via William Hooper via Edward Jones Hooper via William Edward Hooper via Kathleen Hooper Harris via Kathleen Ross Harris Fouche’.